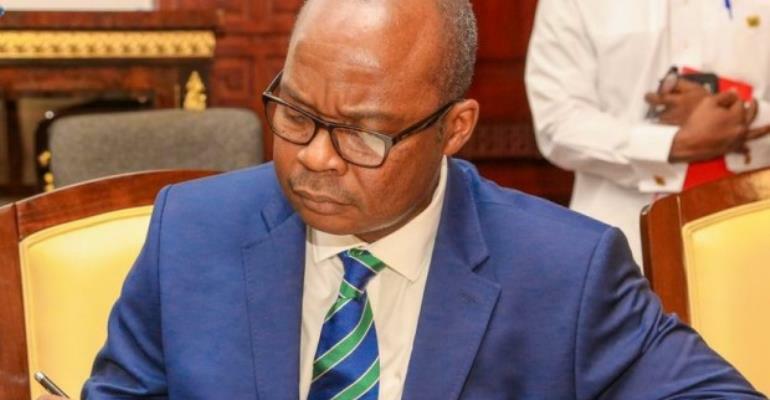 The Bank of Ghana is hoping that banks will soon reduce their interest rates on loans to reflect the continuous drop in the policy rate. The central bank believes that the development should also help correct the balance sheets of banks by reducing the Non-Performing Loans. This was among the key issues raised at a public lecture on the effectiveness of Ghana's Monetary Policies organized by the Department of Economics at the University of Ghana, Legon. The central bank's anticipation of a reduction in the interest rates of commercial banks is due to what it describes as a potential setback to commercial banks' survival if the current situation goes unresolved. The Head of Research at the Bank of Ghana is Dr. Benjamin Amoah therefore expected that banks will respond soon. “It is at the banks' own peril that they do not respond positively; if you are charging someone 45 percent and another is making thirty percent return. But the one saving the money is expected to reduce its expectations yet the other is not paying his or her loan hence leading to the rise in Non-Performing Loans currently estimated at 20 percent. It is in the bank's interest that they act rationally as some people come to borrow with no intention of paying back. One in five of your assets as banks are not working,” he stated. For last year (2017) alone, the Bank of Ghana reduced its policy rate which is the rate at which commercial banks borrow from the central bank, by 550 basis points. The rate dropped from 25.5 to 20 percent. This was subsequently maintained by the Monetary Policy Committee (MPC) in January this year (2018). But the latest Annual Percentage Rates (APR) and Average Interest (AI) rates report shows that interests on loans for various categories, averaged 30 percent as at January this year. The President of the Ghana Association of Bankers and the Managing Director of Stanbic Bank, Alhassan Andani justified the reason why the reduction in interest rates may have taken that long. For January 2018, the Monetary Policy Committee of the Bank of Ghana attributed its decision to maintain the policy rate to its plan to reduce inflation to a target of 8 percent plus or minus 2 in the next few months. This objective has lasted with the central bank for over a decade now, raising a lot of concerns over its impact on the financial sector. But reacting to how the inflation targeting plan has performed so far, the Head of Economics Department, Professor Peter Quartey stressed the need to monitor the impact for some time to assess its effectiveness. “It is too early to discuss whether or not we should abolish inflation targeting; it is working for us. Let's rather see if we could fine tune it and then overtime see whether we could opt for nominal GDP and its arguments in support of it,” he suggested.